Many businesses and companies are often ignorant to the true dangers of storing hazardous substances. However when the ignorance is coupled with a mentality of ‘Oh that will never happen to me’ it can become a dangerous game to play – quite literally! With very few of these incidents reaching the general media spotlight, there is a noticeable lack of awareness about the serious dangers of incorrect storage and the potential consequences. We believe a little knowledge can go a long way and can save businesses money as well as lives, with just a little extra due care and attention. If you need any help storing your hazardous chemicals browse our COSHH cabinets & hazardous storage. On the 4th May 1988, there was a catastrophic explosion based in Henderson, Nevada at the Nevada rocket fuel plant. The company specialised in producing ‘ammonium perchlorate’ a key chemical when creating rocket fuel, used in military weapons, the US Space Shuttle & submarine ballistic missiles. The fast pace production of this chemical meant that new storage containers had to be built in order to store the massive 4,500 metric tons of the finished chemical. However during construction, these highly explosive chemicals were being kept in simple steel or plastic drums, stacked on top each other and covering an area the size of a football pitch. The cause of the fire is speculation due to the extent of the damage being so severe and destructive – however eye witnesses maintain sparks from the construction of the new storage facility ignited these exposed drums and started a huge chain reaction across the whole site. The explosion killed two people, injured 372 others and caused over 100 million USD of damage. It was so violent and sudden it even registered 3.5 on the Richter scale and was felt 600 miles away. This disaster highlights the importance of knowing what dangerous chemicals are present in seemingly harmless products and the precautions that need to be taken in order to prevent explosions such as these. In September 2012, a chemical plant in Japan suffered a large explosion due to exposure of a highly flammable resin found in baby’s nappies. There was over 320,000 tons of this resin inside the plant at the time and the explosion killed a firefighter and injured dozens of employees. When a small fire originated in an acrylic acid tank, an ignorant firefighter fought it with water rather than an extinguishing chemical compound. 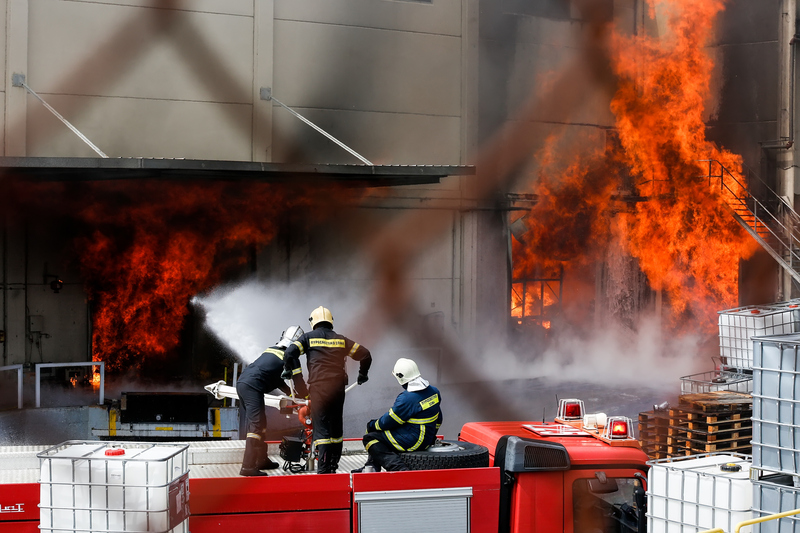 The lack of knowledge and sub-standard storage facilities held within the business meant that this small fire soon spread quickly and caused a devastating amount of destruction. Learn more on how to store your chemicals here!